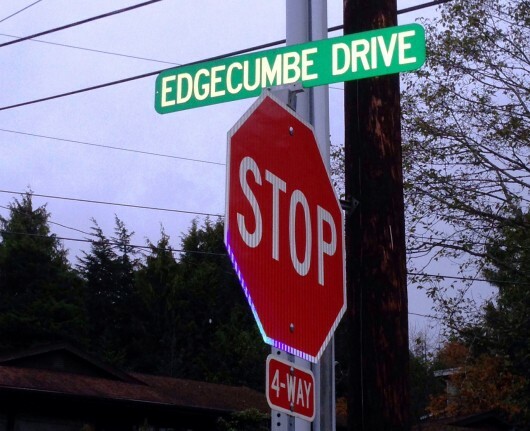 The City and Borough of Sitka will host a meeting at 6 p.m. on Wednesday, Nov. 12, at Keet Gooshi Heen Elementary School (307 Kashevaroff Street) to discuss the construction of a multi-use pathway as part of the Edgecumbe Drive Reconstruction Project. Wednesday’s meeting is to discuss options before more design work is done. The schedule of to have 65 percent of the design done by Dec. 2, and the full design complete by February 2015. Construction is expected to take place from March to August 2015. An artist’s rendering of the proposed project can be viewed at this link (opens as PDF document). This project is being developed by the city, along with its design-build team consisting of S&S General Contractors and DOWL HKM. The project will remove the existing pavement and base course, conduct sub-grade improvements where required, and re-pave the entire road from Cascade Creek Road to Peterson Street. To learn more, contact David Longtin at 747-1883 or davidl@cityofsitka.com.